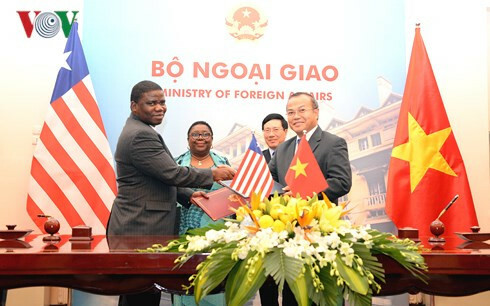 Vietnam and Liberia have signed an agreement on visa exemption for diplomatic and official passport holders, the first one in relations between the two nations. Deputy Prime Minister and Foreign Minister Pham Binh Minh and Liberian Foreign Minister Marjon Vashti Kamara agreed on a score of specific measures to increase bilateral cooperation and maximize the advantages of each country at their talks in Hanoi on December 8. 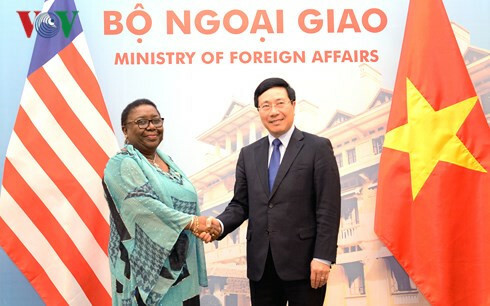 In terms of economic ties, Foreign Minister Marjon Vashti Kamara expressed her wish that Vietnam would help Liberia in such areas as agriculture, mining, infrastructure construction and telecommunications and affirmed her nation's willingness to welcome Vietnamese enterprises who are keen on the market study so as to establish trade and investment links. Deputy PM Pham Binh Minh highly appreciated the Vietnam visit by Liberian Foreign Minister, the first by a Liberian leader since the two countries established diplomatic relations in June 2016. Vietnam always attaches importance to strengthening and developing friendly ties with Liberia, a potential partner of Vietnam in West Africa, Minh told his guest. The diplomats reiterated determination to multiply the current two-way trade revenue of US$35.3 million and create better conditions for their businesses to promote trade, exchange delegations, and participate in each other’s trade fairs. Both sides vowed to continue to intensify the exchange of delegations at all levels and create favourable conditions for people-to-people exchange to enhance mutual understanding and solidarity. Both leaders examined ways to augment cooperation across agriculture, petroleum, telecommunications, defence, and security and agreed on the need to soon sign legal documents including a cooperation framework between the two governments, a trade agreement, and an investment encouragement and protection deal. Mr Minh informed the guest about the outcomes of the APEC Economic Leaders' Week held in Vietnam, cooperation among ASEAN member countries, and the East Sea developments. 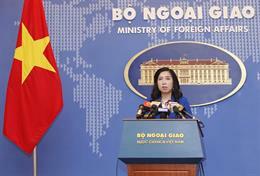 The two sides also pledged to continue strengthening exchanges and coordination at multilateral forums. 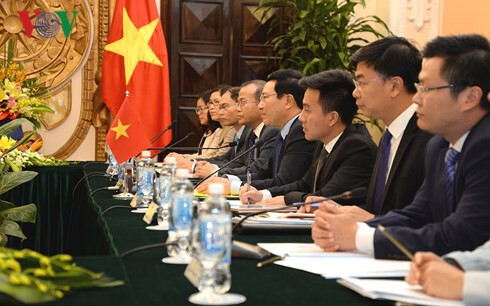 Deputy PM and FM Pham Binh Minh suggested Liberia support Vietnam’s candidacy for a non-permanent seat in the UN Security Council for the 2020-2021 tenure and recognize Vietnam's full market economy status. Mr Minh affirmed Vietnam and ASEAN's principle-based stance on settling disputes, including disputes in the East Sea by peaceful means on the basis of respect for diplomatic and legal processes and strong objection to the use of force or threat to use force, seriously abiding by international law, particularly the 1982 UN Convention on the Law of the Sea (UNCLOS), the Declaration on the Conduct of Parties in the East Sea (DOC), towards rapidly reaching a Code of Conduct in the East Sea (COC). After the talk, the two leaders witnessed the signing of an agreement on visa exemption for diplomatic and official passport holders between Vietnam and Liberia. 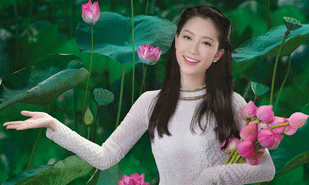 The LEADERAs the visa waiver program for five European countries is to come to an end on June 30 this year, Vice President of Vietnam Tourism Advisory Board Kenneth Atkinson talks to the leader on whether this scheme will be extended.